Turkish salep (sah-LEP) is a rich, hot beverage made with hot milk and sugar that is thickened with flour made from wild orchid tubers. After the recipe instructions below, see more information on this interesting drink. In a small saucepan, mix the salep flour or wheat starch together with the sugar. Add the milk and stir slowly until the sugar dissolves. Over a low flame, stir the mixture constantly at scalding temperature until very thick, about 10 minutes. Pour the salep into warm mugs and sprinkle the top of each with generous amounts of cinnamon. In Turkey, the beautiful and exotic orchid grows wild in forests, meadows and even on the roadside. It's prized not only for the flower trade but also as one of the key ingredients in salep. Once the orchid tubers are harvested, they are washed, boiled, dried and then pounded into a fine flour that gives the drink a unique, earthy flavor and creamy texture. Milk and sugar are cooked together with this flour until it becomes thick and rich. Once the hot milk is thickened, each mug is sprinkled with generous amounts of cinnamon and consumed piping hot. There's nothing better than a steaming mug of salep on a cold winter day. Different versions of salep are common throughout Eastern Europe and the Middle East, especially in countries that were once part of the Ottoman empire. Salep also became popular beyond the borders of the empire a long time before tea and coffee were the norms. 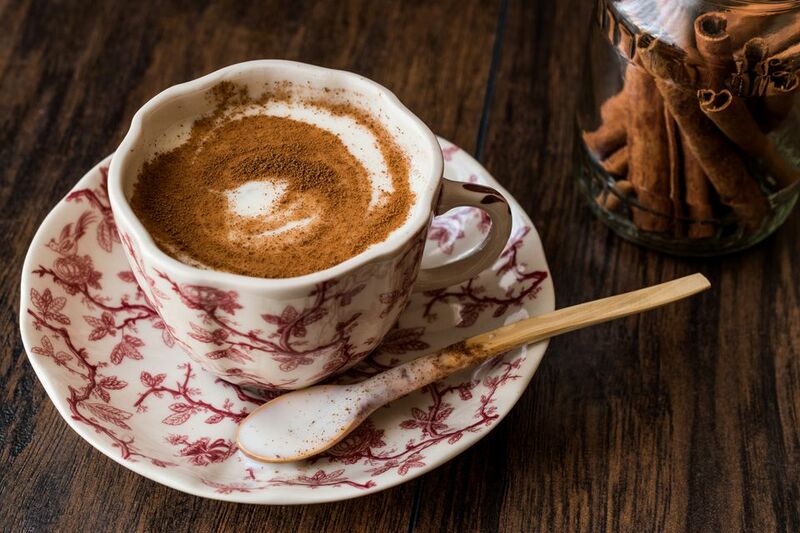 It's even said that a version of salep made with orchids native to the British Isles was served in English tea rooms during the 17th and 18th centuries. In Turkey, salep is valued not only for its delightful taste but for its health benefits. It's said to relieve chest congestion and bronchitis, be good for the heart, increase energy levels and sexual desire. It's also believed to relieve constipation. Unfortunately, the popularity of this delicious drink over the centuries has led to the decline of wild orchid populations in Turkey -- so much so that exporting authentic salep is now restricted. As a result, pre-packaged versions of salep that contain other types of starch as thickeners have become popular in recent years. These packets can be mixed with hot milk or water and can be found in markets throughout the country. Areas around the province of Kahramanmaraş in the southeastern part of Turkey are known for the cultivation of orchids for salep production. Many desserts from this region also contain salep flour like ice creams and milk desserts. If you're lucky enough to travel to Turkey, you may be able to purchase some authentic salep flour to take home with you. The city's historic spice bazaar is a great place to start. If you live outside of Turkey, you can also try Turkish, Greek and Middle Eastern markets or on websites that sell Turkish ingredients. The ready, pre-packaged versions of salep drink mix will be easier to find. Similar to packets of hot chocolate, simply mix the powder with hot milk or water. If you can't find authentic 'salep' flour, you can substitute with wheat starch.